HomeWhy is There a Racial Achievement Gap? Even the international PISA test reveals that children living in poverty in every country do not perform in school as well as children that do not live in poverty. Color or race does not matter. Poverty is the primary culprit. Every parent should REFUSE these tests. OPT OUT! You noted that there is a racial (and gender) achievement gap in teacher assigned grades at the beginning of the post, but you seem to have left it out of the rest of the discussion. Does the racial achievement gap in teacher assigned grades also stem from racist policies and the flawed assessment system used by the teachers? If I’m being honest, TE, some of it is due to teacher prejudice. 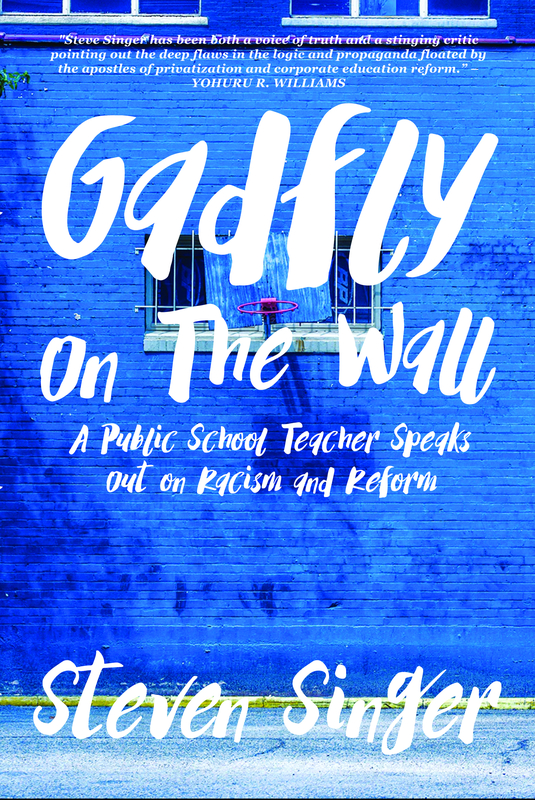 You can’t have mostly white teachers in a school serving mostly black kids and avoid cultural preconceptions – as I noted in the article. However, you have to understand how much high stakes standardized testing drives the curriculum in many schools. My daughter literally had a homework assignment in kindergarten where she had to practice filling in bubbles. Too many administrators (and overzealous teachers) buy into the testing and it perverts everything we do. When kids are graded on test prep, all bets are off. At least in my district a student’s grades (and graduation) depend entirely on the classroom teacher’s evaluation of the student. Do standardized exams influence the GPA of students in your district? Graduation? Finally, is it your opinion that there is no racial achievement gap and the difference in standardized exam scores between racial groups is an artifact of flawed test design or is it that there is a racial achievement gap and that standardized tests do not give a good measure of that gap? If it is the latter, do you have something that we might use instead to measure the extent of the racial achievement gap? TE, you live in a lucky district. Very few teachers have that much control over their students grades anymore. Every year I lose more and more (Hence my previous article on Teacher Autonomy). We are increasingly told what to teach, when to teach it and how it must be assessed. Last year was the first year my district used a nutty metric to determine passing or failing that only took the grade I calculated as a single factor. And when teachers are forced to include innumerable PSSA practice tests in the classroom grade, I can’t claim full responsibility for it. Many teachers are forced to give practice test after practice test, to use canned curriculum from the testing companies (Common Core aligned!). And the results become part of the grade the teacher has to calculate. You have no idea what’s going on in our schools, TE. As to gender, I never brought it up. You did. I’m focusing on race in this article. My thesis is that the racial achievement gap has many causes – inequitable resources and racist policies among them. But the fact that the standardized test that assess and dominate the curriculum are essentially biased is hugely important. It is not everything, but it is a major factor. That’s all I’m trying to say. The gap is imposed on people of color. It is not a natural expression of their abilities or worth. There are conservative GOP teaches and some of them voted for Trump. Most if not all of the teachers that are prejudiced are probably in that group. “Forty one percent of respondents described themselves as Democrats while another 30 percent said they were independents. Just 27 percent were Republicans. “Half the respondents voted for Democrat Hillary Clinton in the 2016 presidential election. Another 29 percent voted for Trump. Thirteen percent selected a third-party candidate. My apologies for the late response. It has been a busy week. It seems to me that you are conflating the scores that are produced by standardized exams and the test prep that teachers spend time doing in class. These are two separate issues. If the scores produce the wrong portrait of a racial achievement gap, they are at least consistent with teacher assigned grades and high school graduation rates: Asian Americans are the highest on all these measures and African Americans are lowest. There is lots of evidence far beyond standardized test scores of an achievement gap going back well before standardized scores were considered. If it is the test preparation that you think is producing this gap, I think you need to provide an argument that this preparation deferentially impacts Asian Americans and African Americans. I also think that you can not ignore the interaction of gender and race in education. The gap between male and female high school graduation rates in California, for example, is nearly non-existent for Asian Americans and largest for African Americans. The GPA gap reflects the same differences. You have rightfully ruled out genetic differences as an explanation for differences in academic performance, so we are left with your claim number 4 and number 5 to explain both the gender and race gap. TE, you are wrong that test scores and test prep are separate issues. If teachers are forced to give students look-a-like questions and grade them in their responses, that is directly related to the tests these prep assignments are mimicking. I think you need to ask to sit in on some public school classes in a struggling neighborhood. You need to see what really goes on there. Otherwise you’re just pontificating from on high. As to a gender gap in test scores, let me ask – why is their a gender gap in handwriting? Why do boys on average have sloppier handwriting than girls? The answer seems to be developmental. Girls and boys on average are just ready for different things at different times. But that’s really a separate issue. As to Asian Americans, let me ask – can they trace their ancestry to specific countries in Asia? Yes. Usually they can. Does the same apply to people of color? No. Usually it does not. American slavery wiped out this connection. That has a significant impact. Moreover, Asians (as a group) are made up of more recent immigrants than most people of color. And the culture they bring with them is already test obsessed. The high suicide rates in Asian countries as a direct result of high stakes testing (which we’re importing here) is part of that equation.